In 1865, George Hearst, a wealthy miner, purchased about 30,000 acres from the Rancho Piedra Blanca, a Mexican land grant. He also bought portions of the 4,800 acre adjoining Rancho San Simeon and eventually about 3,000 acres of the Rancho Santa Rosa. George died in 1891. His only son, William Randolph Hearst, inherited the land from his mother, Phoebe Apperson Hearst after she passed away in 1919. After purchasing more land, W. R. Hearst eventually grew the ranch to encompass nearly 250,000 acres. Hearst and Morgan’s collaboration was destined to become one of the world’s greatest showplaces and an accredited museum. As they were planning and constructing his dream estate, Hearst renamed the rocky perch from which it rose “La Cuesta Encantada” – The Enchanted Hill. Hearst Castle offers a variety of tours to choose from during your visit to San Simeon. Take a trip back in time to enjoy the life that W.R. Hearst and his guests lived. Reservations are strongly recommended. Tickets may be purchased online up to 60 days in advance. During your selected tour, you may remain on the hilltop to enjoy the gardens and visit the Neptune and Roman Pools at your leisure. This tour is recommended for first-time visitors. 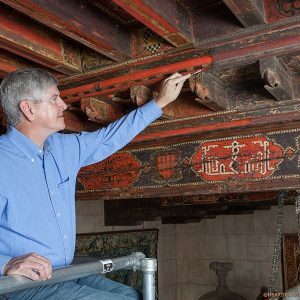 During the tour you will view five of the grand social rooms that are part of the largest house at the Hearst Castle, Casa Grande. Make your way through the Assembly Room, Refectory, Morning Room, Billiard Room, and Theater. The Grand Rooms Tour is 60 minutes long. There are approximately steps and a two-thirds mile walk. This tour is also offered in an accessibility-designed tour. This tour allows you to climb the winding staircase through the upper levels of Casa Grande. 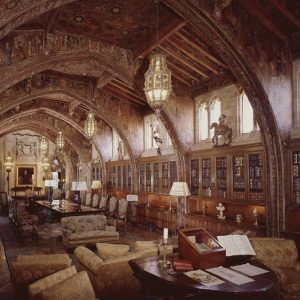 During the tour, you will view Mr. Hearst’s personal Gothic Study, the Celestial Suite, the main library, the della Robbia Room, and the Duplex Suite. The Upstairs Suites Tour is 60 minutes long. There are approximately stairs and a three-fourths mile walk. This tour visits two of the mansions the Hearst family and their guests stayed in before Casa Grande was ready. With Pacific Coast and mountain views, these “cottages” are thousands of square feet in size. 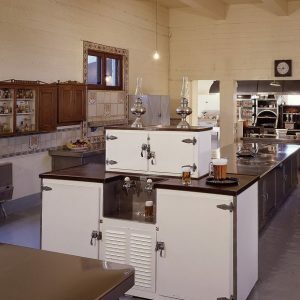 The famous wine cellar and sizeable kitchen in Casa Grande are among some of the rooms included in this tour. The Cottages & Kitchen Tour is 60 minutes long. There are approximately 204 stairs and a three-fourths mile walk. 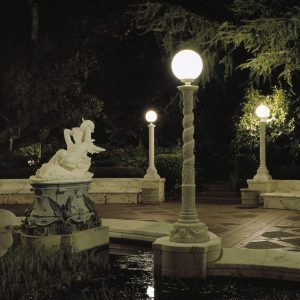 Seasonally offered, this tour allows you to see how nightlife that was lived by W.R. Hearst and his guests. Volunteers are dressed in 1930s attire and move throughout the rooms to bring the experience to life. Concluding the tour is a vintage newsreel in Mr. Hearst’s private theater. The tour is offered most Friday and Saturday nights starting October 1 until November 17. The Evening Tour is one hour and 40 minutes. There are approximately 303 stairs and a three-fourths mile walk. This tour is also offered in an accessibility-designed tour. 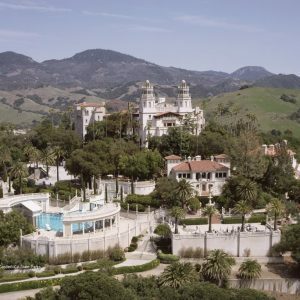 For a limited time, Hearst Castle will offer a semi-private, art-focused tour. On this tour, your guide will discuss how Mr. Hearst acquired his paintings, tapestries, sculptures, antiques, and many other extravagant works of art. 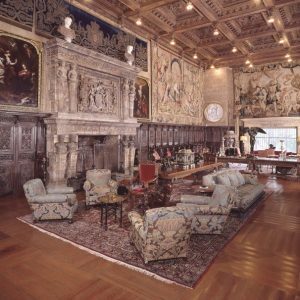 During the tour, you will be allowed to visit four rooms that have never been included in Hearst Castle tours before. The tour is two hours long and includes approximately 750 steps. 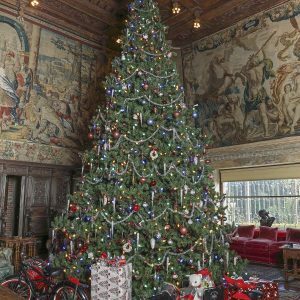 This tour allows you to enjoy the holiday season through the festive likes of Mr. Hearst and his guests. Holiday decorations and numerous Christmas trees fill the Casa del Sol guest home and the grand social rooms of Casa Grande. The Holiday Twilight Tour will begin Thanksgiving weekend and then continue on selected nights until December 30. The Holiday Twilight Tour is 75 minutes long. There are approximately 190 steps and is a two-thirds mile walk. 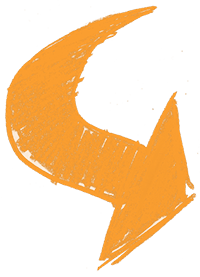 This tour is wheelchair accessible and designed for visitors who have a difficulty climbing up and down stairs or cannot stand or walk for extended periods of time. The tour visits the luxurious social gathering rooms to allow guests to experience life at Hearst Castle. The tour is 60 minutes long. Travel time to and from the Visitor Center (approximately 30 minutes) is not included in the duration of the tour. This tour is wheelchair accessible and designed for visitors who have a difficulty climbing up and down stairs or cannot stand or walk for extended periods of time. The tour allows guests to live the extravagant nightlife of Hearst Castle for an evening as volunteers dressed in 1930s clothing move through the rooms. Offered seasonally, the Accessibly Designed Evening Tours will be available on most Friday and Saturday nights starting October 1 until November 17. The Accessibly Designed Evening Tour takes approximately two hours and 10 minutes including the bus rides to and from the hilltop estate. Tour reservations are recommended for acquiring your tickets to Hearst Castle. Please call (800) 444-4445 or check online www.HearstCastle.org for tour times, availability and tour reservations. 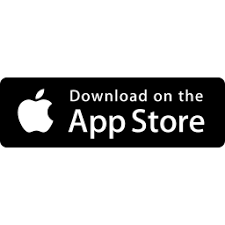 Get the most out of your visit to America’s most fascinating castle and download the Hearst Castle mobile app for your smartphone.